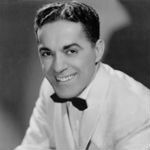 Frankie Carle (March 25, 1903 – March 7, 2001), was an American pianist and bandleader. As a very popular bandleader in the 1940s and 1950s, Carle was nicknamed “The Wizard of the Keyboard“. “Sunrise Serenade” was Carle’s best-known composition, rising to No. 1 in the US in 1938 and selling more than one million copies. Carle started out working with a number of mainstream dance bands. In 1934, he played with Mal Hallett and his orchestra. In 1935, he had his own orchestra and was billed in an ad for one night club as “America’s Greatest Pianist.” He received attention when he joined Horace Heidt and His Musical Knights in 1939. He later became co-leader of the band. The popularity he attained while with Heidt’s band allowed him to leave the band in 1944 and form his own band, The Frankie Carle Orchestra. When his daughter, Marjorie Hughes, sang with his band, he did not reveal their relationship until Walter Winchell published it. His band disbanded after 1955 and he performed mainly as a soloist thereafter. From the 1950s until the 1980s, Carle performed as a single artist and maintained a close following of loyal fans. During World War II, he participated in the V-Disc program, making recordings which were released by the U.S. War Department. Carle had early exposure on radio as pianist for The Four Belles singing group in transcribed programs distributed by the World Broadcasting System. In the mid-1940s, Carle and singer Allan Jones starred in the Old Gold Show on CBS radio. Carle also was featured in Pot o’ Gold, Treasure Chest, and The Chesterfield Supper Club.